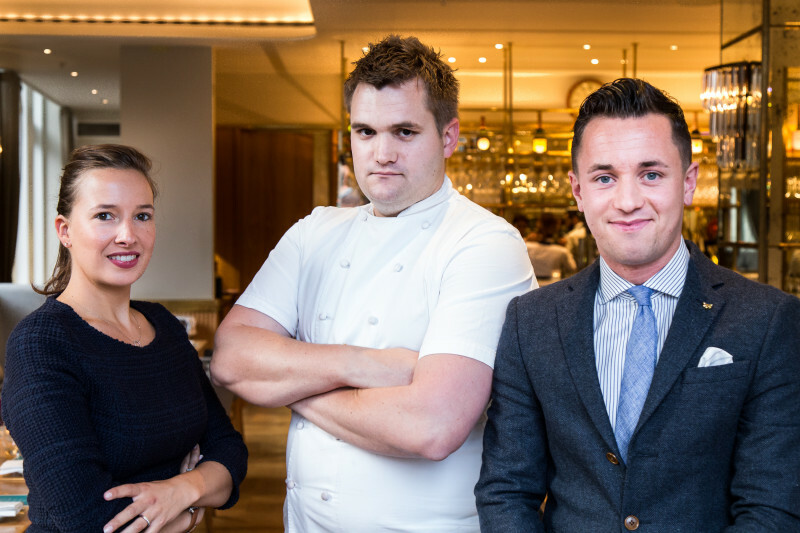 Former Clare Smyth protégé, Steven Ellis, is due to open his own restaurant in Windsor next month, after 10 years spent in kitchens like Restaurant Gordon Ramsay, The Star Inn, Harome and Jamie O’s Fifteen. The Oxford Blue, a high end gastropub, will launch towards the end of May. 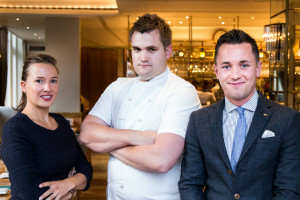 The restaurant managers, husband and wife team Daniel Crump and Margriet Vandezande-Crump, are also Ramsay-trained, having worked at Restaurant Gordon Ramsay and Pétrus respectively. Steven uses French cooking techniques, however his menu is heavily influenced by British produce and classic country inn cooking. Dishes include: Wood pigeon and foie gras pithivier with Waldorf salad; braised suckling pig’s trotter with black pudding, crab apple and sauce gribiche; ribeye on the bone, stout glazed short rib, confit chips, smoked bone marrow and horseradish hollandaise; seafood chowder with lemon sole, mussels and marsh samphire; Earl Grey soufflé with biscuit ice cream; and bavarois of Yorkshire rhubarb with ginger ice cream. News Clare Smyth, Fifteen, gastropub, Gordon Ramsay, Jamie Oliver, London restaurants, PÃ©trus, Restaurant Gordon Ramsay, Steven Ellis, The Oxford Blue, The Star Inn Harome, Windsor restaurants. permalink. Harden’s dinner at Le Gavroche sells out in a matter of hours!